In 2018, McGill Associates made a major expansion of the consulting services offered by the firm. McGill Management Services consulting services includes Community and Economic Development, Infrastructure Development, Strategic Planning, and Special Studies. We are announcing that Richard Smith, formerly with Benchmark Planning, will join the firm on May 1st. Mr. Smith will serve as the Community and Economic Development Director. This will further expand and strengthen the work McGill does to assist public and private sector clients to grow and develop. Mr. Smith was most recently the Co-owner of Benchmark Planning, having previously served as their Executive Vice President of Consulting Services. 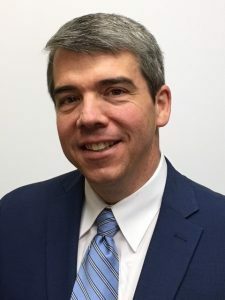 In addition to serving as the Director of the Moore County Planning and Community Development Department, he has worked with Catawba and Lincoln Counties. He has a Master’s Degree in Public Administration from Appalachian State University and a Bachelors Degree from Western Carolina University.